Did you know that the smartphone that is sitting in your pocket or handbag right now (or you might be even reading this on your smartphone) has hundreds of thousands-fold more computing power than the NASA’s computer that was used to land Apollo 11 on the moon in 1969? True to their namesake, smartphones are smart for a good reason. Thanks to a broad spectrum of hardware capabilities and apps, the possibilities with smartphones are endless; from being a mobile platform to stream TV shows to a bizarre app that can turn your phone into an earthquake sensor! No matter how far-fetched its applications can be, at its foundation, smartphones exist to be a conduit of technology to make our life easier. Lalamove is built upon this idea of leveraging technology to empower logistics, and the on-demand delivery service offered through the Lalamove app further reflects this belief. 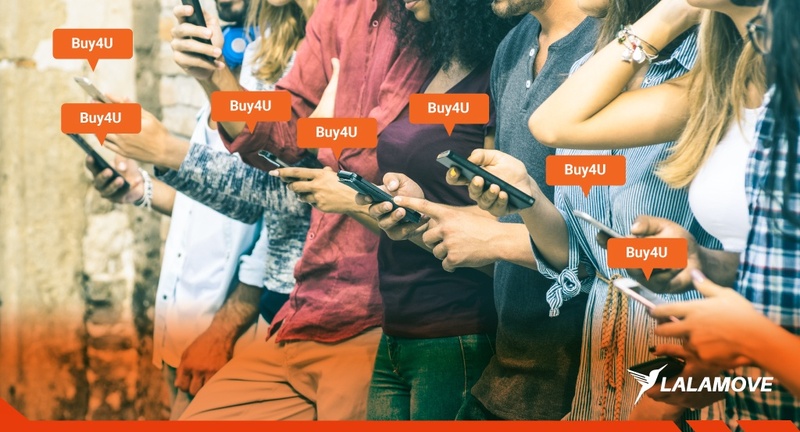 Besides that, we have another exciting feature that we would like to share with you today - Buy4U! Buy4U does exactly what its name implies. On top of the existing on-demand delivery services, Buy4U is meant to simplify your errands with a follow-through of instant delivery to your location. In other words, you can request Lalamove’s drivers to pick up goods from the aisle of a supermarket, pay them on your behalf and have the goods delivered to your location. This added feature is especially helpful for those who don’t have the time to carry out errands due to family and work commitment. Here are a few examples of other things you can request with our Buy4U! While you certainly won’t use your smartphone to launch a rocket into space (at least not yet! ), you can still count on your smartphone and Lalamove to save your day without the need to compromise your comfort in the office or house! Download our app today to enjoy faster deliveries and Buy4U service.